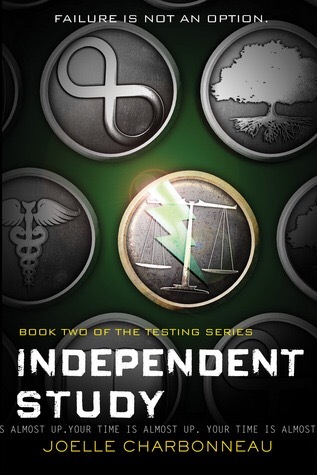 This series is just fun and entertaining, but doesn’t really stand out from any other dystopian series. The main character, Cia, is a perfectionist and her character is simply annoying. She never does anything wrong and doesn’t have any flaws, which makes her seem unrelialistic and makes me indifferent to her. Additionally the author creates many questions for the readers by using cliffhangers and excluding certain information, however Cia asks all of the questions in her narration, so therefore, the reader doesn’t get to really think about anything. It seems like the author was overly cautious in making sure that the readers know what is going on and which questions should b highlighted. It is aggravating and makes the book seem like it was intended for younger viewers. The first half was disappointing. It was almost a recap of the first book but in less words and with the addition of some new characters. The new characters development wasn’t very good and I didn’t really feel an attachment to any of the characters. Things only started to get interesting in the last 100 pages. I am looking forward to reading the last book, hopefully it will be better than this one and rounds of the series nicely. Overall, it was a decent book. This series is good if you love fast paced Dystopian novels. There is not much else to it.